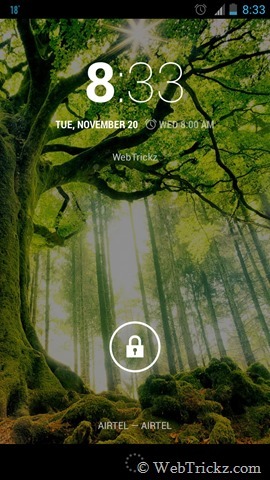 Android 4.2 Jelly Bean brings a variety of new features of which one is the new lock screen widgets. It’s the first time when has introduced widgets to lockscreen on Android,represented by a white rectangle that glows as you unlock the phone or swipe towards the edges while the lock screen is active. Apparently, there are many users who aren’t impressed with this change and prefer the good old lockscreen. 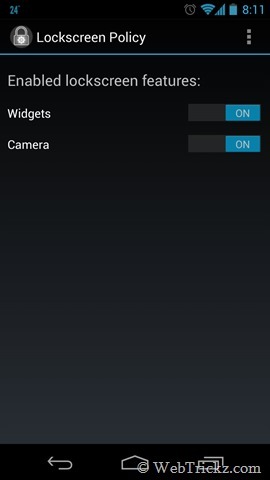 The reason can be the annoying behaviour/ UI/ limitation of widgets or the accidentally opening of camera. Luckily, there is a nifty app available on the Play Store that allows users to easily turn off the new lock screen features in Android 4.2, i.e. the widgets and the camera. 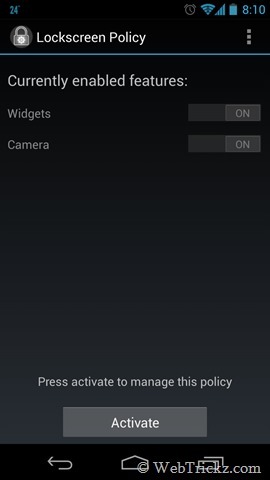 Lockscreen Policy is a free app that lets you disable widgets and/or camera access on the lockscreen under Android 4.2. One can simply toggle on/off the widgets and/or camera with this handy app that doesn’t requires root. However, one limitation is that you wont be able to access the camera anymore directly from the lock screen as was possible in earlier version of Jelly Bean. Right now the app makes the stock clock widget the only widget, which you cannot change. 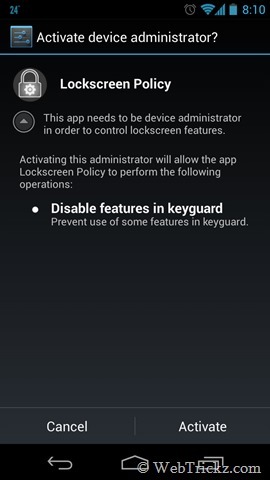 The app requires no permissions other than device administrator in order to control lockscreen features. Includes support for: Galaxy Nexus, Nexus 4, Nexus 7 and Nexus 10. To uninstall, uncheck the application from the ‘Device Administrator’ list under ‘Security’ in your ‘Settings’ application on your device.